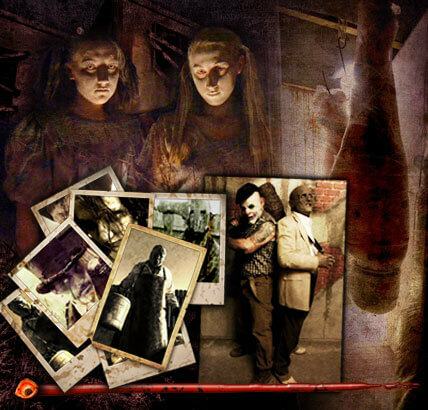 Haunted Houses in Dallas, Texas are some of the scariest haunted houses in America. 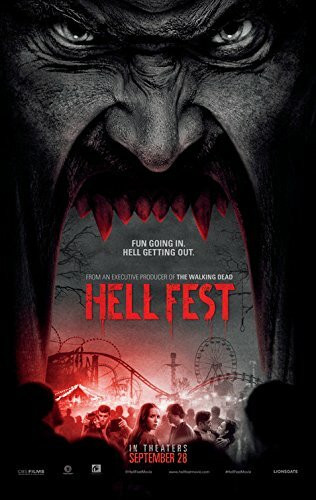 Hauntworld.com tries to review only the best haunted houses in Dallas, Texas. 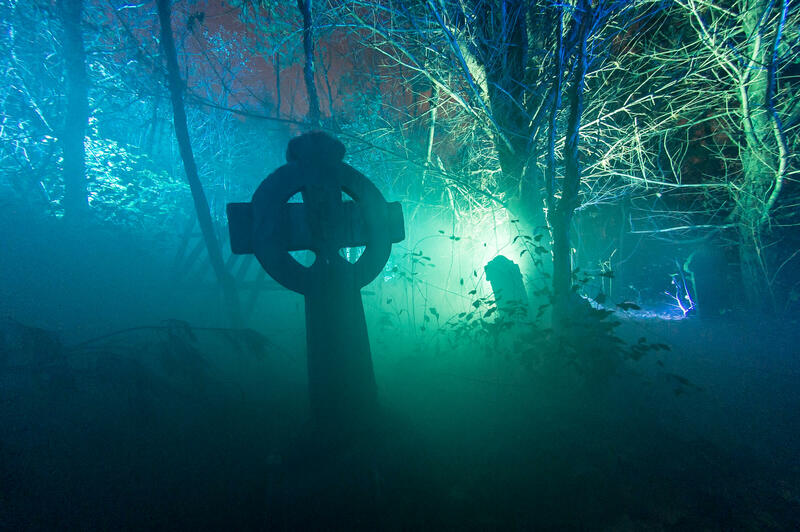 When you are looking for simply the best, scariest, haunted houses in Texas there is no other place to search than Hauntworld.com which offers our guests the best information to find Texas Haunted Houses including the best haunted attractions in Dallas, Texas. There are many haunted houses in Dallas that claim to the best haunted attraction but only one can truly lay claim to the being the scariest haunted house in Texas... The Haunt House Haunted House in Dallas, Texas. 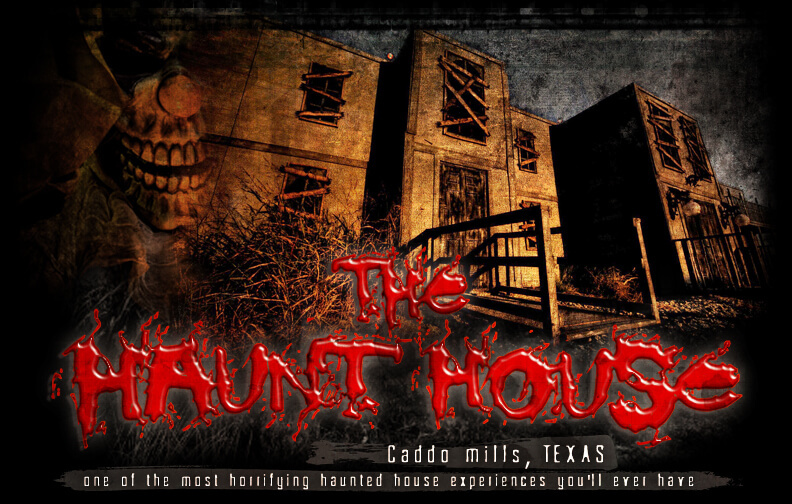 The Haunt House, which is located 20 miles east of Dallas in Caddo Mills, Texas, is the brainchild of Bart Butler. He and business partner Paul Kollaritsch unleashed the terror to an unsuspecting audience in 2007. Almost immediately, Butler was inundated with questions as to the haunt’s name. While ‘The Haunt House’ may seem like a simplistic choice, it was actually very well thought out and has been a valuable marketing tool. 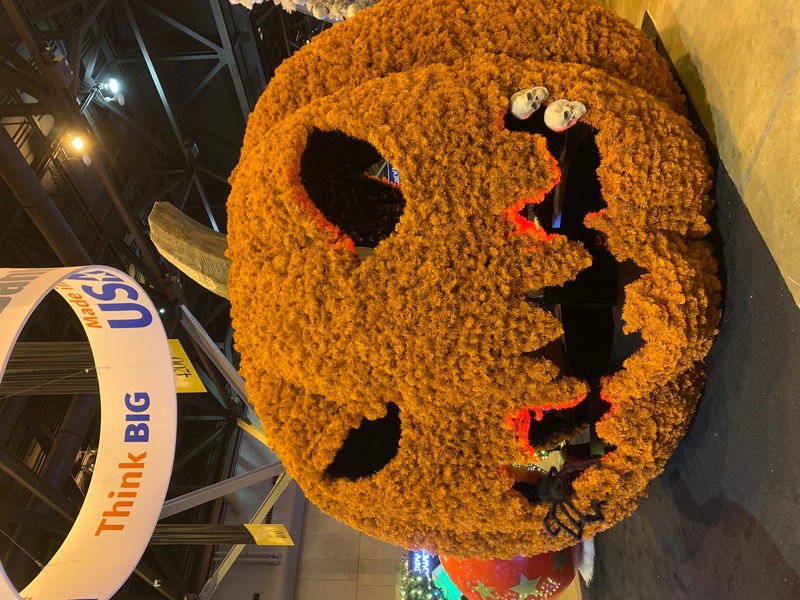 “Most of our advertisement is done through the Internet, and our name utilizes the most used search words when looking for a haunted attraction,” says Butler. While The Haunt House may still be a relatively new attraction, Butler is entering his twentieth year as a professional haunter. He spent his early years working closely with the late Lance Pope and used that opportunity to learn about every aspect of the haunt business, knowing that he wanted to build a haunt of his own one day. 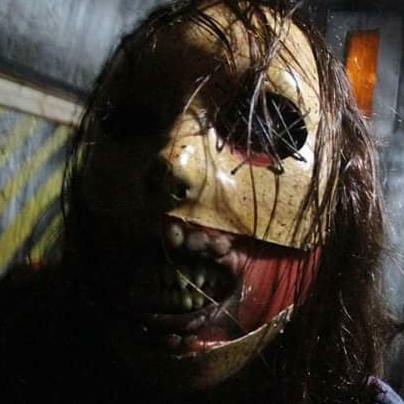 Since opening The Haunt House, Butler has gone on to design and create its own masks and costumes and he is happy to share his processes with other haunters through online videos and local get-togethers. In recent years he has branched out into independent film work, as well. 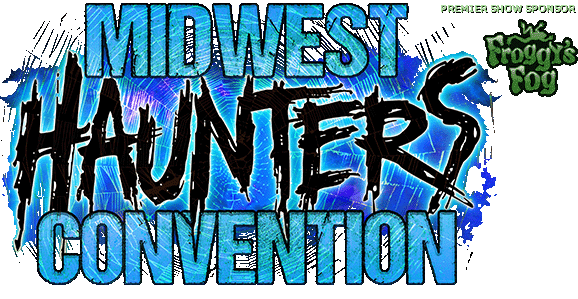 As if Butler’s experience and expertise weren’t enough, The Haunt House’s current creative team is made up of several members with twenty years plus under their belts as well as some highly talented newcomers. Their combined imagination seems to have no bounds and, having just passed its 5th season, they have turned The Haunt House into one of Dallas/Fort Worth’s Top ‘Must See’ Haunted Attractions. These last few seasons have meant a lot to Butler. Recalling the days where he was just an actor at a haunt and had become for many years the student, he has now become the teacher to an ever growing number of actors who are very passionate, not only about the scare, but how they are created. He is extremely proud of his actors and the work they do so tirelessly every season, many of them reminding him of himself when he was starting out. Unlike some Dark Attractions, Butler’s haunt isn’t confined to a shopping mall or pre-existing building. Instead, The Haunt House was built from the ground up as a permanent structure and everything was planned out before construction started. A terrific location directly off the highway was purchased and a metal building was built specifically with every aspect of a haunted house attraction in mind. The building supports a huge wraparound façade, which is so realistic that some local patrons have sworn the building has been there for 50 years or more. What has also been creatively freeing for The Haunt House was Butler’s decision to be flexible with the themed attraction. Though he originally created the character of ‘Spoils the Clown’ many years before, the murderous jester was kept and incorporated into a storyline that permits a nearly infinite supply of frightening ideas that can be made to fit seamlessly into the haunt. “This has been especially beneficial to the patrons as they truly never know what might be lurking around the next corner,” say Butler. The creative team also has an innate sense of detail, building scenes and props that are extremely realistic, holding up to close scrutiny even if you walk through the haunt with the work lights on. One aspect that has become increasingly important to Butler and his crew is the addition of iconic characters to The Haunt House. Initially, ‘Spoils the Clown’ was the famous face everyone identified with the haunt. 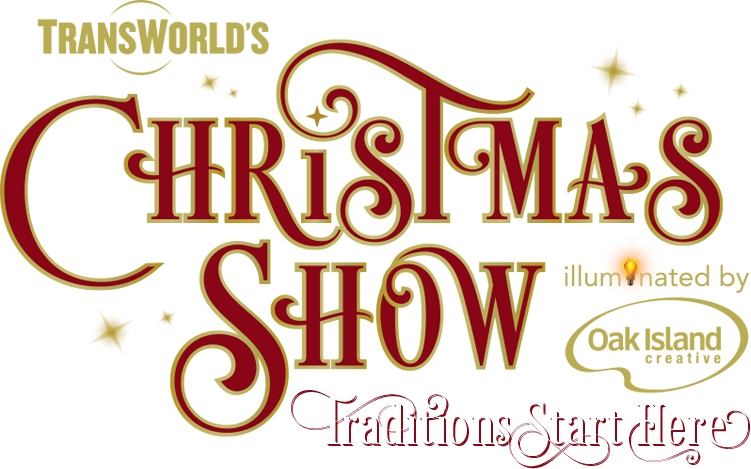 In previous seasons, Butler introduced several characters, including Malachi (an eight-foot scarecrow), Caddo (a clown-skinning pig farmer), Rott’n (a mute female clown), The Ringmaster (the showman), Mr. Scabs (a smart aleck clown), Woodrow (a pitchfork carrying farmer) and Chaos (an axe wielding, metal faced maniac). As these icon characters were created, the performers were given the opportunity to write biographies that would coincide with the fictional ‘history’ of the haunt. Once Butler realized how this changed the way a performer would approach their character, he worked with all of his interior actors to create new characters to inhabit the haunt or flesh out those who were already in place. The actors then wrote their own biographies, again making sure they fit in with The Haunt House’s intricate storyline. These characters and stories were added to the website and each created Facebook pages in order to interact with one another other and customers, opening up a world of marketing possibilities and year round ‘practice’ for the actors. In 2011, Butler created several more new characters in order to find the right mix of ‘icons’ that could terrify and entertain customers, but could also be used for promotional purposes. New additions, such as Cotton (a clown-faced carny), Lydia (a nurse who is a little too fond of scalpels), and Marvin the Janitor (played for laughs) were quickly embraced by our audiences and the additional entertainment made the queue line wait almost as fun and exciting as walking through the haunt..
Butler took this concept a step further by creating Rigor T. Mortis, a zombie-like Southern Politician and brother to Spoils. He was used throughout the year to run a ‘campaign’ in order to vote Spoils out as owner of The Haunt House. Using Facebook and a handful of local events, Rigor T. spread the word and online voting began in September. He won the election, ‘banished’ Spoils and is now the ‘Face’ of the haunt. “This character is in no way meant to be a scary. If anything he works hard to make everyone like him. His relative friendliness makes him a more accessible spokesman for the haunt when speaking to the press,” says Butler. In order to remain competitive, Butler knew he had to continually step up his game in order to keep The Haunt House in the public’s eye. Preparations for the 2011 season included a new and innovative style of video to be shot for promotional purposes. Butler turned to Ryan Morgan (one of the haunt’s original actors and now a film student) and together they shot and edited a three minute music video featuring many of the new characters. The video surpassed expectations, rivaled many ‘professionally’ created videos, and went viral almost immediately. (When pressed to create a thirty second version, Butler and Ryan’s talent proved it was no fluke when they did so on a laptop while sitting in the back seat of a bouncing car during a road trip to Louisiana.) Plans for an even more challenging and spectacular video are in the works for 2012. Another element of what makes The Haunt House so successful is Butler’s sense of family. Family and friends mean so much to him that even the name of his company, “HobNob Productions”, was chosen because it meant a gathering of friends. This commitment to family has also allowed Butler to reunite a creative team of haunters/actors, which includes Hobbes LeCompte, Michael Edwards, Jeff Johnson and Kahl Brice, all of whom were a part of Lance Pope’s original ‘family.’ Most came out of retirement from the haunt business for the opportunity to work together again. 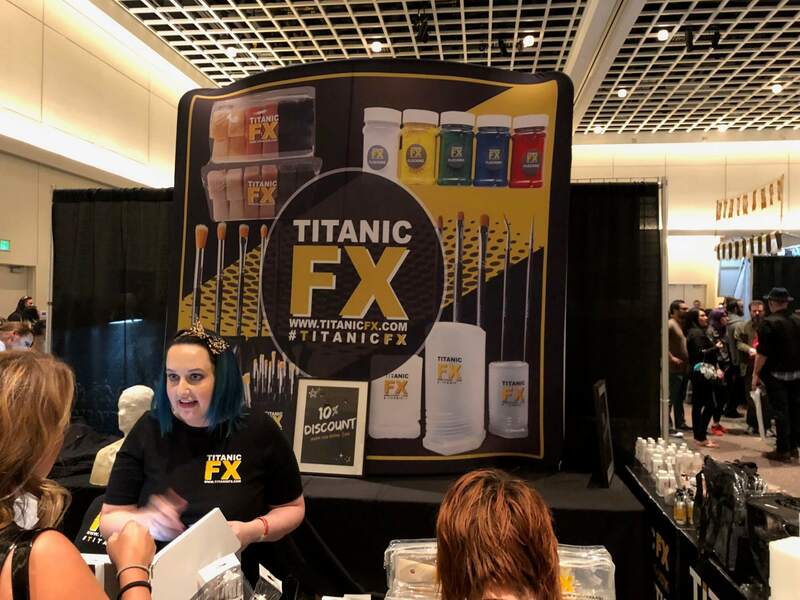 “Even my own family has gotten into the act, with my wife Michelle utilizing her makeup artistry to turn our actors into nightmarish fiends,” says Butler. All of these elements worked together to make The Haunt House’s 2011 season it’s most successful to date, with attendance far surpassing expectations. Driving in from Dallas, we saw the exit and billboard telling us we were coming up on The Haunt House. Leaving the lights of the city behind, there was an almost immediate sense of foreboding when faced with the ominous façade. The haunt sits in an empty field, enclosed within a tall stockade style fence. The entrance into the front yard features hanging bones and barbed wire. Though the haunt is directly next to a major highway, once we walked into the front yard the outside world all but disappeared and we were completely immersed in Butler’s world. The front of the haunt, with its grimy walls, dimly lit boarded up windows and darkened doorways made us think twice before stepping up to the porch.. 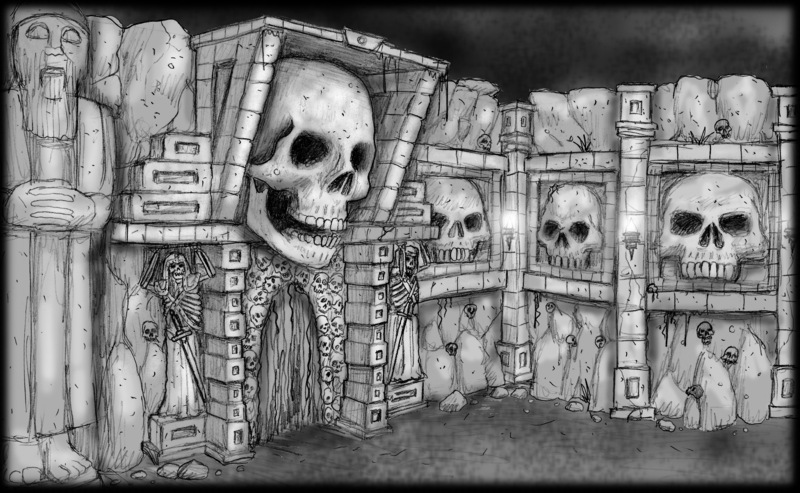 Stepping through the front entryway, we are ushered into the foyer and told the haunt’s history, learning of its once being an old Dark Ride. Though the tracks have been ripped out, the first set of double swinging doors through which the cars would roll are still present. Entering these doors, Butler’s show comes alive. Throughout the house are scenes that are varied in style, but all created to flow together in order to deliver the most memorable frights ever. One outside area puts patrons directly into a series of ramshackle buildings and tool sheds that create an extremely eerie path leading to a caretaker’s decrepit home. Walking through this part of the haunt is like stepping right into the worst backwoods nightmare you can imagine. The interior sides of each building look as though they were pieced together with a hodgepodge of moldy wooden planks. Wandering along this path, there is much to see. Grimy bottles are everywhere, old rotted wooden furniture sits in one building, rusted tools cover the walls in another, and heavily soiled linens hang outside yet another. One building is particularly unsettling with decayed dolls strewn everywhere and tarnished doorknobs hanging from the ceiling. Of course, the caretaker and his minions are skulking about and the only escape is a secret passage to an abandoned underground mine shaft. There is also a room that is deteriorated to the point of the wall’s interior wooden slats showing though the decaying wallpaper like the ribs of some monstrous thing. Even worse, there is a frenzied and gibbering creature within its walls trying to get out. Another is a cramped storage room with odd-sized shipping crates stacked to the ceiling. These crates appear to be from the old abandoned Butler mortuary down the street. They look as if they aren’t stacked very safely and some of the contents are oozing out. 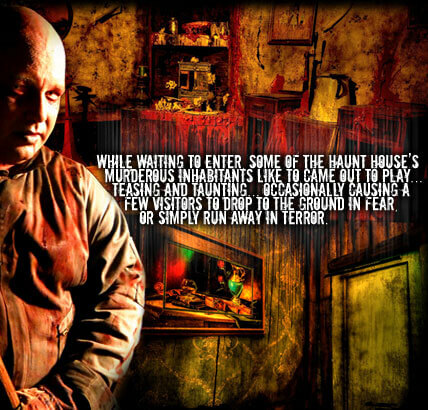 In the haunt’s kitchen there is a centralized table, complete with the remains of a very bloody human corpse, pieces of flesh barely clinging to its frame. The pantry shelves are covered with ancient bones and jars full of bits and pieces of body parts. In the bathroom the white tiled walls look nauseatingly dirty and the sound of dripping water comes from everywhere. The first stall contains what is left of the last person who tried to use it, while the second stall remains unnervingly closed. The wall at the end of the room looks as though it has been crashed through and leads into complete darkness. A dark, yet gaudily colored ticket booth and barker stand beckons you into Spoils’ circus tent. Two tall skeletal clowns rise from gigantic jack-in-the-boxes and as you walk past huge broken down carnival trailers you quickly find that these aren’t the only clowns around…We also found ourselves in a room where cement walls have broken away to expose the ancient brick underneath. This room left little doubt as to what happens to some of the victims that don’t make it out as we passed a dirty wash basin filled with gore and a giant, rusted out crematorium furnace. The final room of the house has a surprise twist to get the final scare in before heading out the exit. “Very few really get a chance to see this room as nearly everyone runs through it at top speed, hoping to find an end to their terrifying experience. Of course, being outside doesn’t always offer a safe haven…” says Butler.